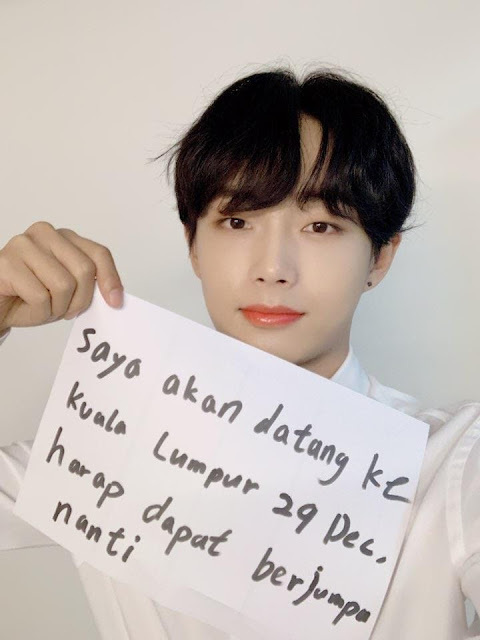 Former JBJ member, Jin Longguo(aka Kim Yong Guk) will be holding his first fan meeting "Friday n Night" in Malaysia on 29 December and organiser I Creative Event is now having a 50% off promo for all ticket zones. VVIP, G1, G2 and G3 zones are all sold out, but remaining zones are still available to purchase via ticket2u.com.my. Longguo, first known as the contestant of the survival program "Produce 101 Season 2", then debuted as a member of the duo Longguo and Shihyun then with the project group JBJ. Riding on the success of the group project, Longguo made his solo debut this June with his self-written digital single "Clover" and released his first solo mini album "Friday n Night" in August. His first solo fan meeting in Seoul comes right after the album released and Longguo started his fan meeting tour in Hong Kong and will be heading to Bangkok this early December then to our shores, Malaysia.